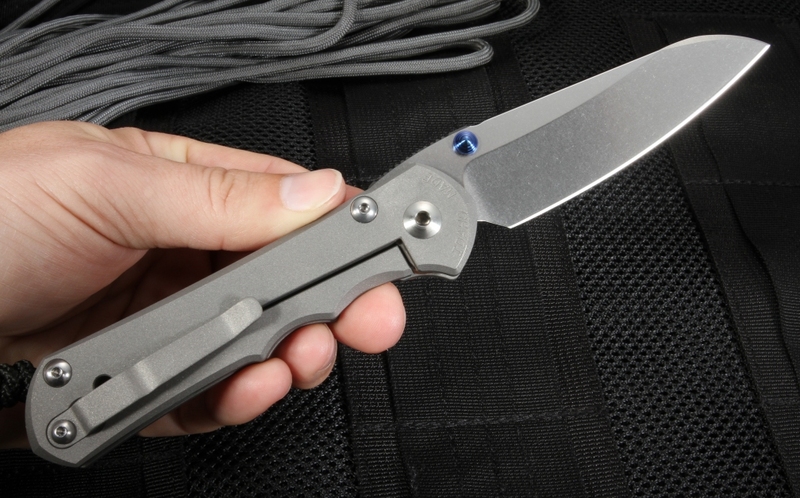 The next step in evolution of Chris Reeve knives, the Inkosi Insingo carries on the legacy of the Chris Reeve name, while improving upon what has been considered by many to be the perfect knife, namely the legendary Sebenza series of knives. 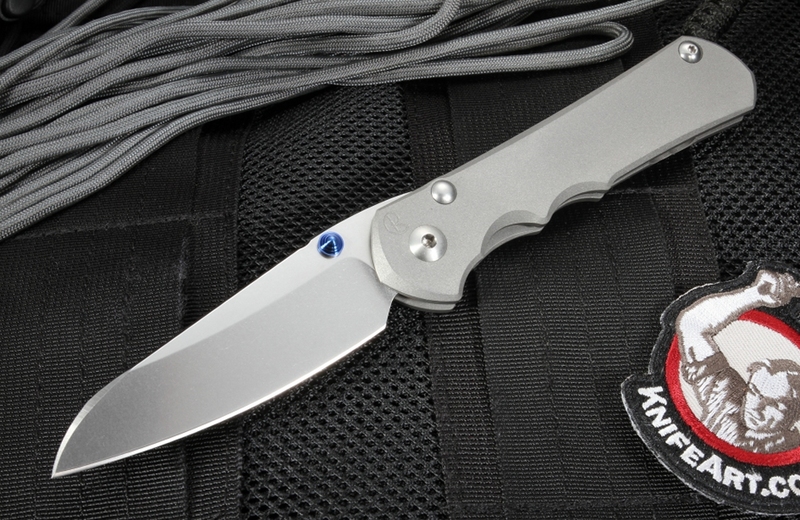 The Inkosi comes from the Zulu word for "Chief" and the Insigno blade design comes from the Zulu for "razor." Both are big names to live up to, not to mention the reputation considered by many in the knife collector community as being the best of the best. Chris Reeve has been making knives since 1984, and after moving his operations to Boise, ID, his knives have proudly been made in the USA for nearly 30 years. Any knife bearing the Chris Reeve brand is representative of the maker's dedication to design and precision. Originally a tool maker and motorcycle enthusiast, Chris's attention to detail and near obsession with precise machining means that any knife that carries his name has been designed, treated, ground, and assembled to tolerances within 1/10th of 1000th of an inch. So how do you improve upon perfection? 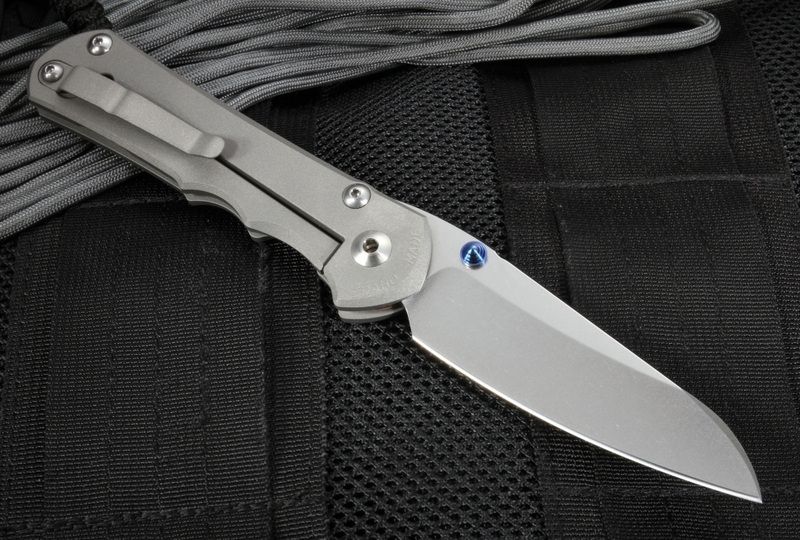 The Sebenza 21 was made to commemorate 21 years of experience in knife making. The 25 came a few years later, doing the impossible by improving the design of the 21 with better ergonomics in the handle, as well as a canted titanium belt clip. The bushing pivot was replaced with a washer and detent bearing, which was a bold move considering the love affair a lot of Chris Reeve enthusiasts had with the original design. The Chris Reeve Inkosi Insingo combines all the best elements from the Sebenzas and incorporates them into a masterpiece. At 3.625" long, the stonewash finish S35VN stainless steel blade is corrosion resistant, yet strong enough (Rockwell hardness of 59-60) to hold up to all sorts of punishment and supple enough to hold a razor-sharp edge for a long time. 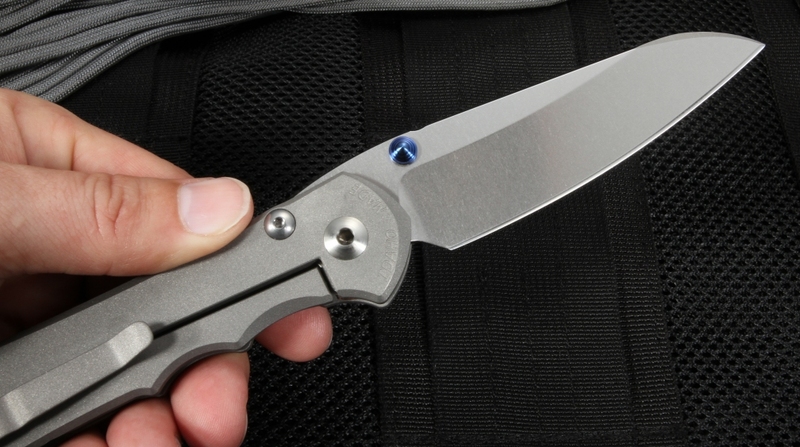 The large Inkosi Insingo features an ambidextrous thumb stud, whereas the Sebenzas were right or left side only. The hand cut thumb grip chamfer on the back of the blade makes aids in precision and control. At .14", the blade is made of thicker stock than its predecessors and is hollow ground sharpened to a microscopic edge that will remain true through countless sharpenings. Pivot washer. improved, cleaner pivot from Sebenza 25. 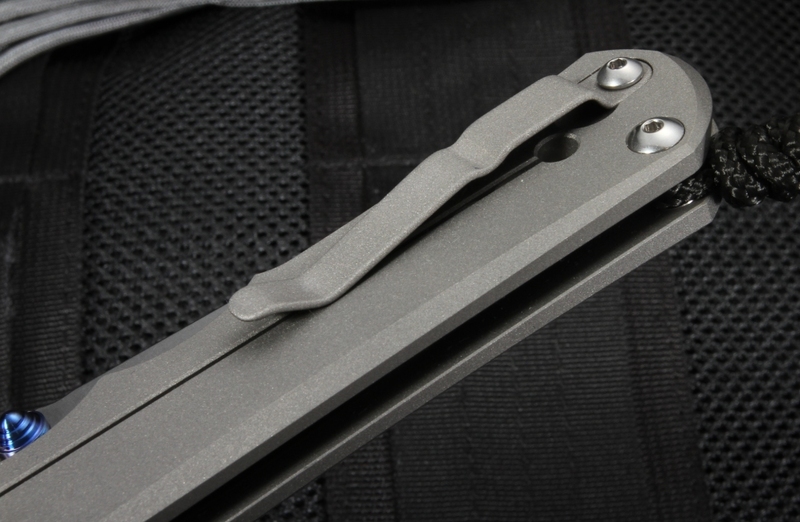 The 4.75" blasted titanium handle is fitted for right or left use, with all-titanium or a variety of other choices such as carbon fiber or micarta inlay to choose from. The titanium lockbar has also been improved with the ceramic detent ball not only aiding in smooth blade deployment and locking, but also due to the softer nature of titanium when it meets a harder metal such as steel, thus providing a longer life for the lockbar. The ceramic detent provides even more protection against premature wear as it is harder than the steel blade. The handle is scalloped for ergonomics and fits nicely in the hand. 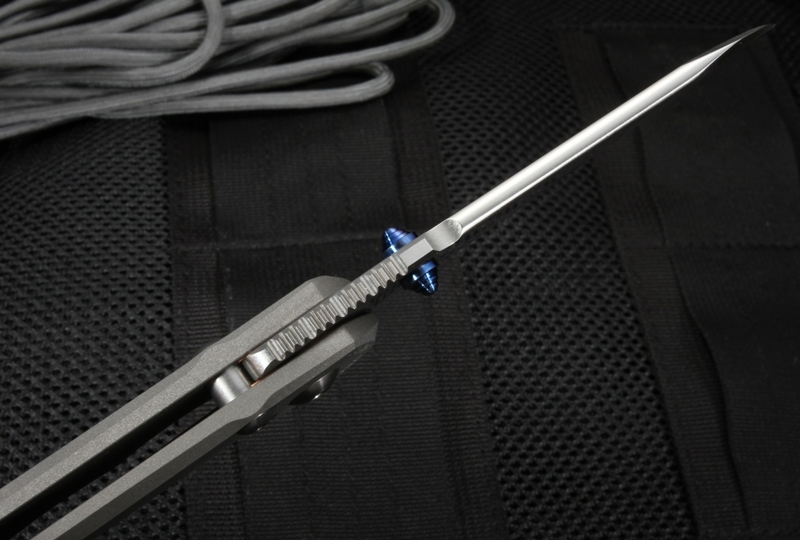 The titanium belt clip can be removed, yet provides added protection in overtravel for the locking mechanism. 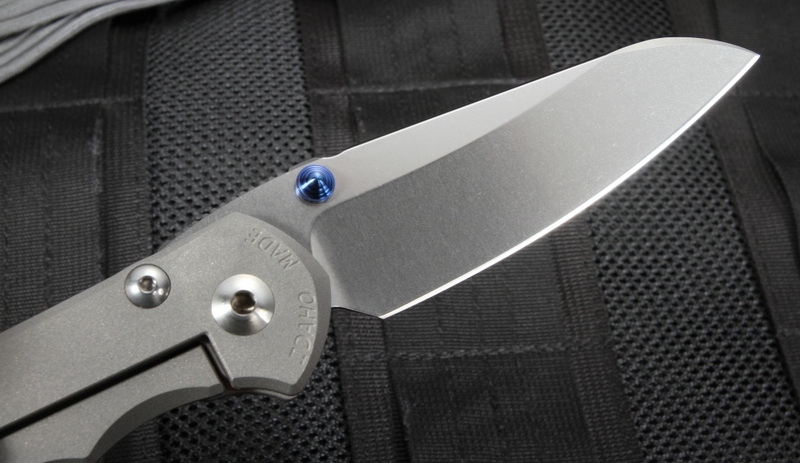 The Inkosi Insingo inherited the washer pivot and detent bearing from the 25 and has shown that feature to be the pinnacle of design. With a little pressure on the lockbar from your finger and the swing of your thumb, the knife is open to its 8.665" length and ready for action. The lockbar isn't going to let that knife go anywhere until you want it closed again. My first CRK was the original Sebenza many years ago. Sold it and purchased the new version recently. Well once you have a CRK knife you will want more. So, with advice from knifeArt I purchased this Inkosi with the Insingo blade. All I can say is it well worth the price! It opens smoothly and locks up like a bank vault door. 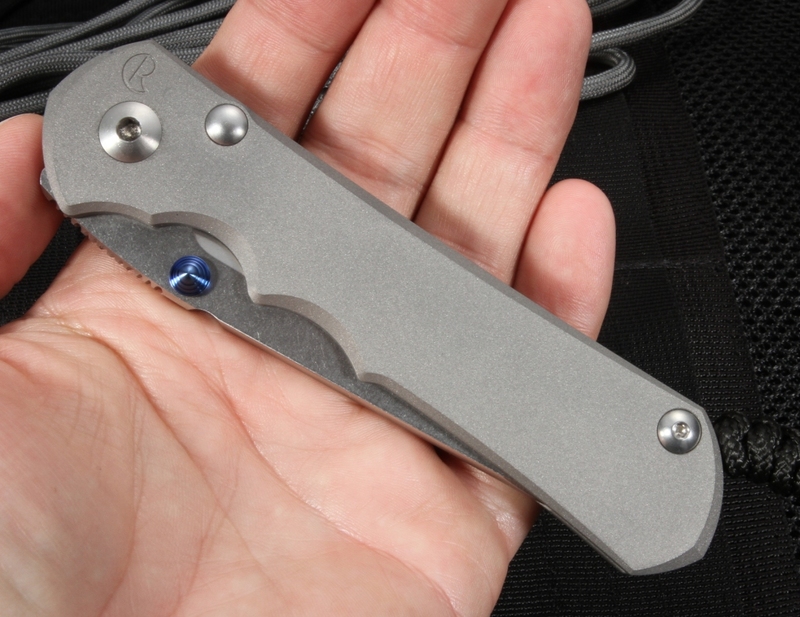 If you want a Holy Grail knife get a CRK from the nice folks at KnifeArt!